Due to the 7th annual Lt. Joseph Szczerba Memorial 5K race, temporary street closures on West 18th St. and North Broom St. to Augustine Cut Off, may cause a possible delay in service on Thursday, April 25 starting at 6:30 PM for Rts. 2, 18 and 35, see below for details. All bus stops will continue to be served. 6:10 PM leaving from Naamans Road at Cedartree Apts. 6:35 PM leaving from Naamans Road at Cedartree Apts. Thanks for riding! 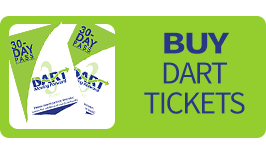 For your traveling convenience download the free DART Transit app. King St. at 13th St. – board on King St. at 10th St.
King St. at 3rd St. - board on King St. at 6th St.
Market St. at A St – board on DuPont Highway at Howard St.
Market St. at Shipley St./Rosa Parks Dr. – board on DuPont Highway at Howard St. OR King St. at 6th St.
Market St. at 19th St. – board on Market St. at Concord Ave. Notices will be posted at the affected bus stops directing riders to the alternate boarding locations. On Thursday, April 25, DART and other public transportation systems nationwide will celebrate National Get On Board Day, which showcases the value and benefits public transportation brings to our area. Transit transforms communities and the lives of the people living in them. Sponsored by the American Public Transportation Association (APTA), the 2019 National Get On Board Day is a day that encourages people to support public transportation. Each weekday in the U.S., 34 million people board public transportation. For more information about the benefits of public transportation, check out the Public Transit Fact Sheet. 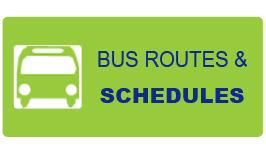 Due to construction on Front Street by Walnut Street, Routes 45 and 301, heading out of town, will be on detour until approximately April 30, 2019. The stop at Amtrak Station at M.L. King Blvd. will be temporarily closed to Routes 45 and 301 southbound riders. All other routes will continue to serve this bus stop. 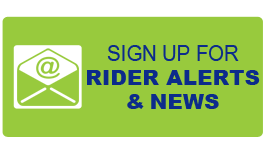 Riders should board at the stop on S. Market St. at Shipley St./Rosa Parks Dr.
A notice will be posted at the affected bus stop directing riders to the alternate boarding location. A special shuttle trip has been added to meet Train 207 at the Claymont Train Station, dropping off riders at J.P. Morgan at approximately 7:45 AM. Starting Monday, April 8 until Friday, May 31, Amtrak track construction will impact SEPTA southbound train service to Fairplay Train Station at Churchmans Crossing. During this time, SEPTA will not be stopping at the Fairplay Station in the southbound direction. Bus service will be available from the Claymont and Wilmington Stations, visit Fairplay Station for details. Due to construction closing US 9/Lewes Georgetown Highway, Routes 206 and 303 will be on detour beginning April 11, 2019 through May 1, 2019. Notices will be posted at temporarily closed bus stops directing riders to alternate boarding locations. Thank you for riding DART and for your traveling convenience download the free DART Transit app! Starting in April, the Route 215 bus stop at Del Rt 1 & Tanger Outlet Bayside will be on temporary detour due to construction, until further notice. Please note that this bus stop has been closed immediately. A notice will be posted at the affected bus stop directing riders to a temporary bus stop, located approximately 200 feet south, and near the Columbia Sportswear Company. Thank you for riding DART, and for your traveling convenience, download the free DART Transit app! Due to construction on the Northeast Boulevard Bridge, traffic will be limited to one lane in each direction, which may cause a possible delay in service for Rt. 4 starting Monday, February 18 through approximately May, 2019. All bus stops will continue to be served. Due to bridge construction on Harbeson Road/Route 5, between U.S. Route 9/Lewes-Georgetown Highway and Diamond Farm Road, two bus stops served by Routes 206 and 303 have been temporarily relocated east of Harbeson Road/Route 5 until further notice. Notices will be posted at the relocated bus stops, indicating they will be served by Routes 206 and 303. DART will continue to provide updates on affected bus stops as they become available. Route 303 will be on temporary detour until further notice due to bridge construction on Harbeson Road/Route 5, between U.S. Route 9/Lewes-Georgetown Highway and Diamond Farm Road. A notice will be posted at the affected bus stop directing riders to the alternate boarding location. DART will continue to provide updates on affected bus stops as they become available. For the above temporarily closed bus stop, please board at U.S. Route 9 at Gravel Hill Road/DE Route 30. A late night trip departing from the Christiana Mall Park & Ride has been added back to the schedule starting today, December 12, see below for the times.